We work exclusively with Nobel biocare, Straumann, Mis implant ,Multi unit, Zimmer. We carry out screwed or sealed work and to meet your needs we take care of the work of assistant prosthesis. Depending on requirements we can also machine pre-milled to save time and accuracy, our work in this area is the most accurate in the world. We all use the Nt Trading range for implant locators as well as for certain parts. For the placement of your prostheses or the machining of your anatomical implant abutments we provide you with first choice screws with or without treatment according to your request. Ti-Bases are intended for the fabrication of individual abutments on dental implants. Ti-Bases can also be combined with screeds, crowns or screw-retained supra-structures in different materials, such as zirconia, dental ceramics, or metals. 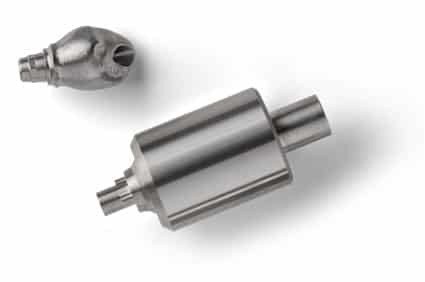 Ti-Base K-Series abutments are compatible with Nobel Biocare Brånemark® implants. TI-Base N-Series abutments are compatible with Straumann synOcta® implants. Ti-Base R-Series abutments are compatible with Zimmer Tapered Screw-vent® (Sulzer) implants. 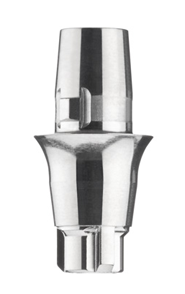 Ti-Base S-Series abutments are compatible with Astra Tech OsseoSpeed® implants. Ti-Base H-Series abutments are compatible with Biomet 3i Osseotite® Certain® implants. Ti-Base L-Series abutments are compatible with Straumann® Bone Level implants, Ti-Base F-Series abutments are compatible with NobelBiocare NobelActiveTM implants. Ti-Base Serial-LOC abutments are compatible with ConelogTM implants.